2 Why are Pregnant Women at Risk for Anemia? 3 What are the Signs and Symptoms of Anemia? 4 How Do You Know if Someone Has Anemia? 5 How is Anemia Treated? 6 Why is it Important to Treat Anemia? When a woman is pregnant, the nutrients (such as vitamins or minerals) that her body needs to stay healthy and support a growing baby can change a lot. 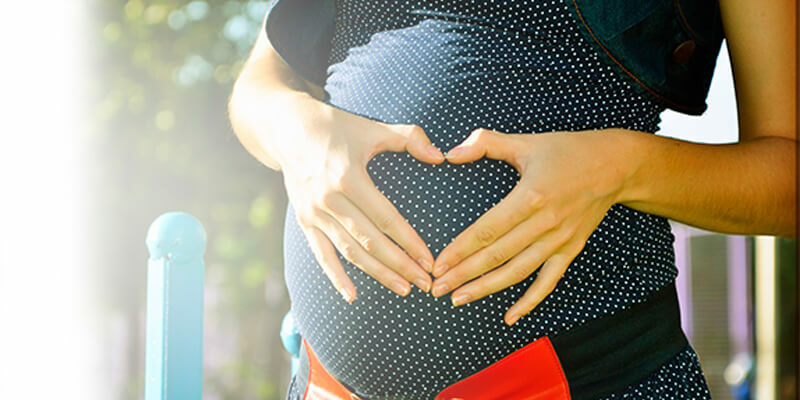 Three nutrients that are very important during pregnancy are iron, folate and vitamin B-12. Without it, women can develop a condition called anemia, and this can put both them and their baby at risk. Iron deficiency anemia. This happens when a person does not have enough iron to make hemoglobin for red blood cells. Red blood cells use hemoglobin to carry oxygen from the lungs to the other parts of the body, including the brain. Folate deficiency. This lack of a B vitamin is also a common problem for pregnant women. Vitamin B12 deficiency. This important B vitamin can also be lacking in many women’s diets, particularly if they do not eat a lot meat, eggs and dairy products. If you do not have enough iron to make hemoglobin, then, your cells do not get as much oxygen as they need and your heart has to work harder to keep oxygen levels normal. A lack of B vitamins can cause problems for mom (like severe fatigue) and for baby (like birth defects). Why are Pregnant Women at Risk for Anemia? Women, whether they are pregnant or not, need more iron in their diets than men do, at least when they are of childbearing age. This is because they lose blood each month during their menstrual cycle — and iron with it. This iron needs to be replaced in order for the body to make hemoglobin for the red blood cells. Pregnant women, however, need about twice as much iron as non-pregnant women do! This is because they need to send it to their growing baby, who will begin to make blood of his own as he grows and develops. It is also easy to get depleted on levels of folate and Vitamin B12 during pregnancy.. That is why many prenatal vitamins have high levels of these minerals as well as iron. How Do You Know if Someone Has Anemia? This tests measures the amount of hemoglobin in the blood. This measures the percentage of red blood cells that a woman has in her blood sample. Doctors will also test to see if levels of folate and vitamin B-12 are normal. If someone has anemia, these blood test will usually come back lower than they should be. Apart from blood work, doctors will also ask women about any symptoms they have been having, their diet and what supplements and medications they are taking. They will also ask them about their medical history. All this will help them make a diagnosis. When it comes to iron, liver is pretty much at the top of the list — though it’s not everyone’s favorite entree! Red meat including beef and pork. Doctors also encourage women with anemia to also get plenty of vitamin C in their diets. Why? Vitamin C makes it easier for the body to absorb the iron you are eating. So have a spinach omelet with a glass of orange juice in the morning or serving up a spinach salad with strawberries is a good way to make sure that the body is absorbing all the iron that it can. Taking a prenatal vitamin which contains vitamin B12 and folate can also help with this problem. Sometimes, though, a woman is not able to absorb B12 very well, so a doctor may give her a monthly injection to keep her levels normal. Why is it Important to Treat Anemia? Moms who have this deficiency are also at higher risk for needing a blood transfusion (where they receive someone else’s blood to help rebuild their own supply) and for postpartum depression, a mental health problem which can make caring for a new baby very difficult. In short, anemia is a common problem for pregnant women due to the demands put upon their bodies by the growing baby. However, the good news is that anemia is usually pretty simple to treat with medications, folate and B12 supplements and iron-rich foods, especially if they are taken with a good amount of vitamin C. Generally, this problem will resolve after the baby is born.